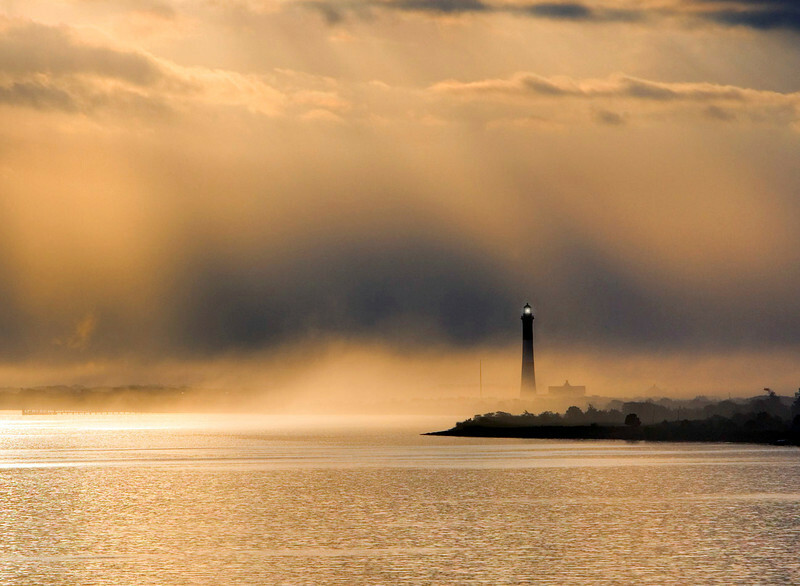 Fire Island Light House at dawn. What looks like fog is really mist created by huge waves from Hurricane Bill in August of 2009. Fire Island is only 1/4 of a mile wide here. This view is of the protected bay side of Fire Island.